Promotional Soccer Ball Stress Ball, show you're a team player.Hand out this stress reliever as a giveaway at any event. 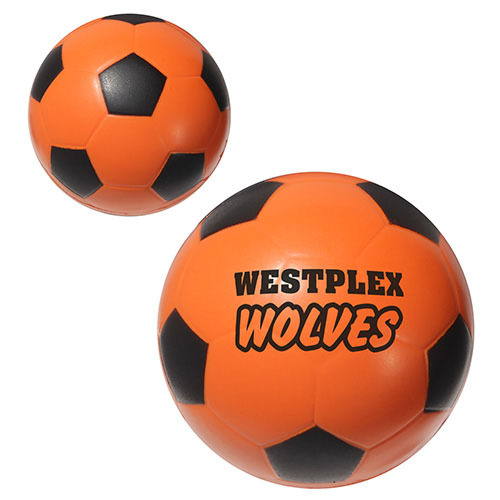 Great for schools, conventions, sporting goods stores, the possibilities are endless. Your team members will get a kick out of this soccer ball shaped stress ball! 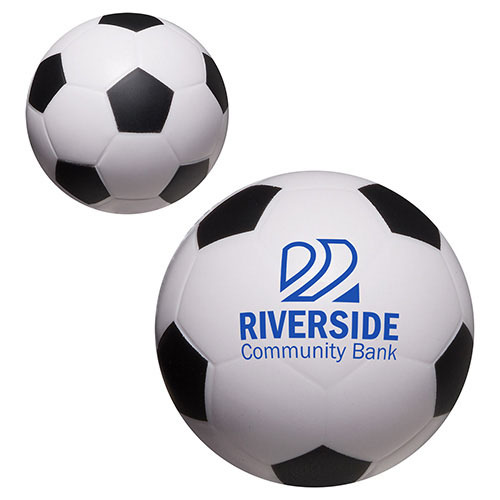 Measuring 2 1/2", you can use this handy promo as part of a fundraiser to send the team to the championships, to promote your sports bar, or simply to thank your fans and customers for a supportive season! 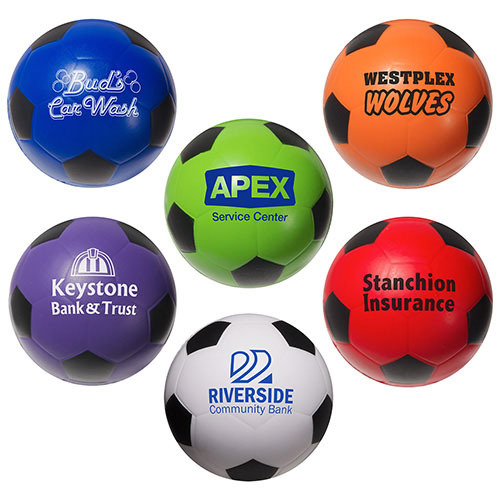 Choose from several eye-catching colors and add your custom logo or team name. Safety tested, this item is intended for adults or for general use by consumers. It is not intended for children under 3 years old or pets. Bulk / 19 lbs / 350 pcs. / 22x15x14 box.